This was a quick and fun little wall hanging to do. 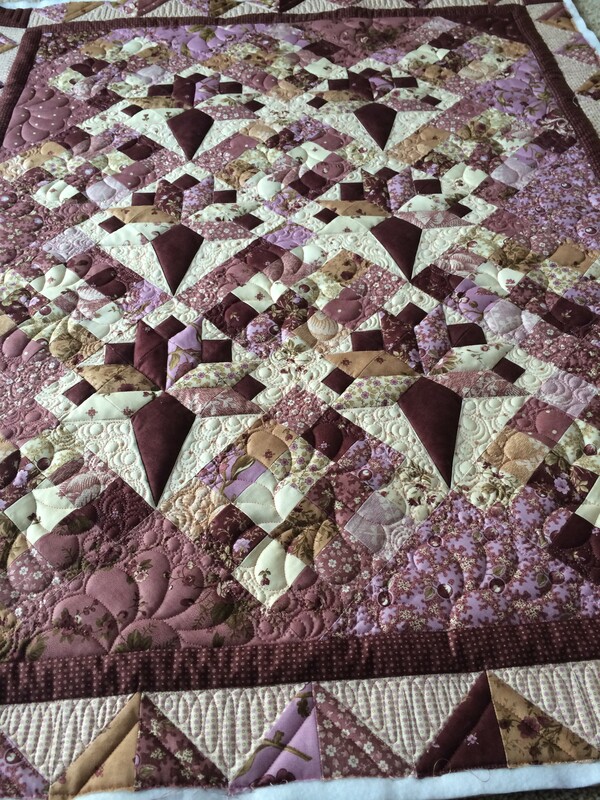 The piecer (Diane) wanted to accentuate the flower blocks, which was definitely needed as some of the pieces of the flowers blended in with the background fabric. 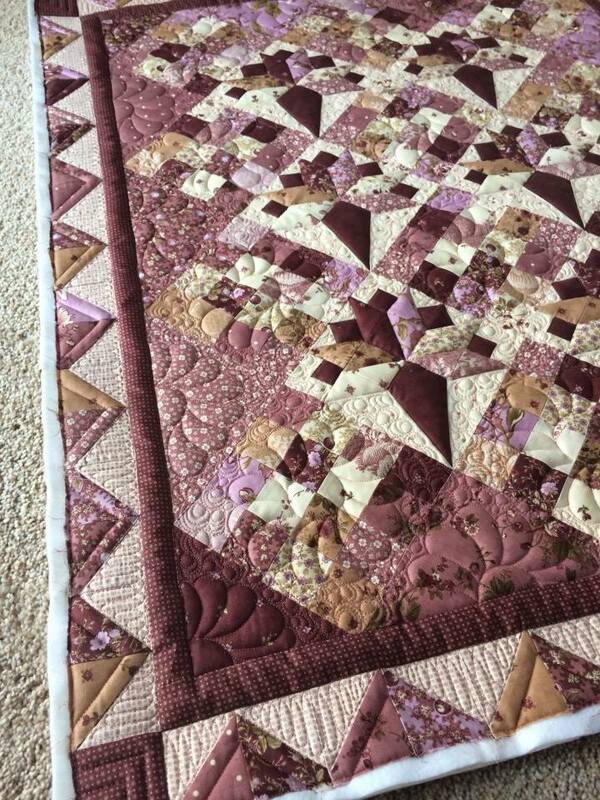 To achieve this, I layered Quilters Dream midweight poly over Hobbs 80/20 to give extra loft and definition to the stitching. I SID around the posy blocks and added feather wreaths in the alternating blocks. I then did a small circly filler (I’m sure that’s a word) around the pieced blocks and the feather wreaths. 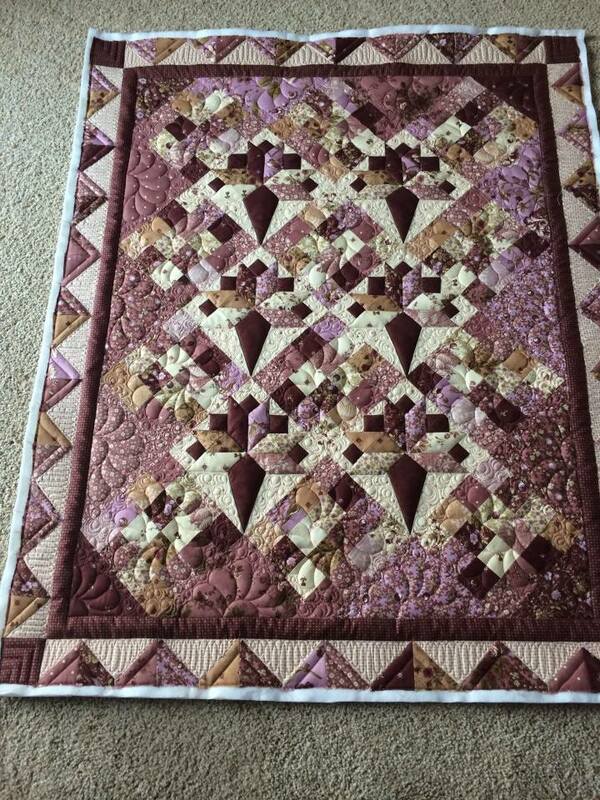 I did a tight loopy fill in the outer border and just echoed the triangles 1/2 inch to give it a cool border effect. 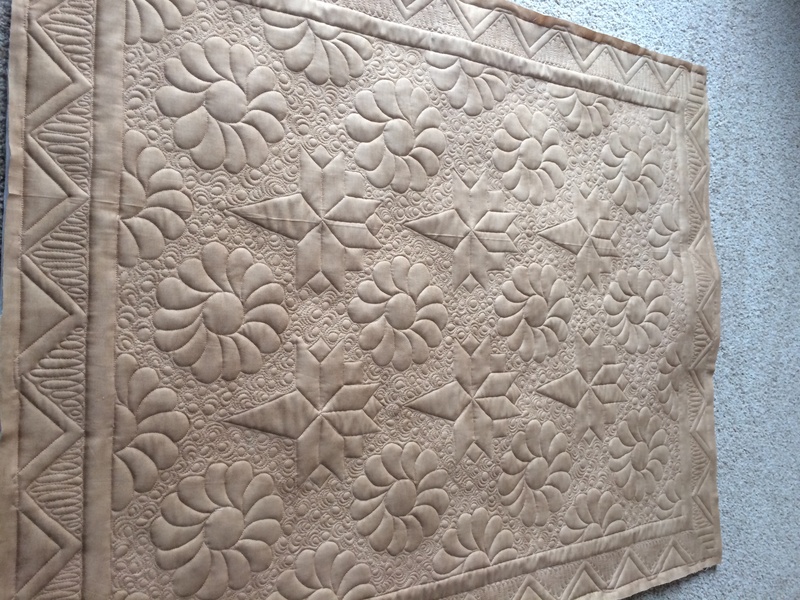 I used a rose Invisafil thread on top and a burnt brown DecoBob on the back. I love the way it turned out.